Welcome to another informative blog post from Realpars. Today you will learn all about HMIs. Maybe you have never heard of an HMI, but I’ll bet you encounter them pretty regularly. HMI is short for Human Machine Interface. We use HMIs in industry to control and monitor machines. A very common HMI that you all encounter on a regular basis would be an ATM machine. The screen and pushbuttons allow you to operate the machine to dispense a certain amount of money, or to deposit money. Let’s talk about industrial HMIs now. 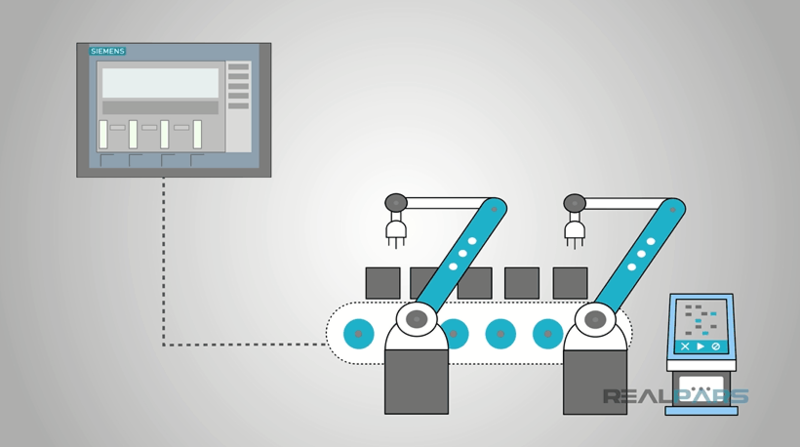 It would be hard to have a good automated process in industry without an HMI. Many times an HMI will be in the form of a screen, kind of like a computer screen, and more times than not, they are touch screen. An operator or maintenance personnel can operate and monitor the machine from the HMI. 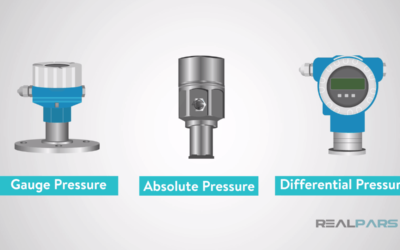 They may include information like temperature, pressure, process steps, and material counts. They can also show very precise levels in tanks and exact positioning of machines. Where machine information used to be viewed on multiple indicators can now be viewed on one screen. The possibilities are only limited to the software and hardware used. 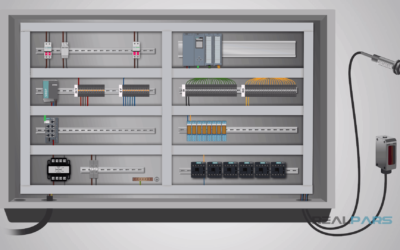 For maintenance personnel, many HMIs can also connect to PLC logic and display it on the screen for troubleshooting purposes. 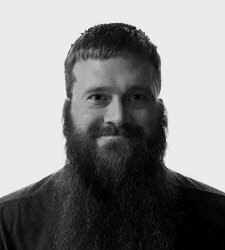 This can save valuable time compared to connecting a computer or laptop every time. Another benefit of having a modern HMI is the fact that plants and other industrial sites can monitor and control multiple machines or other equipment. 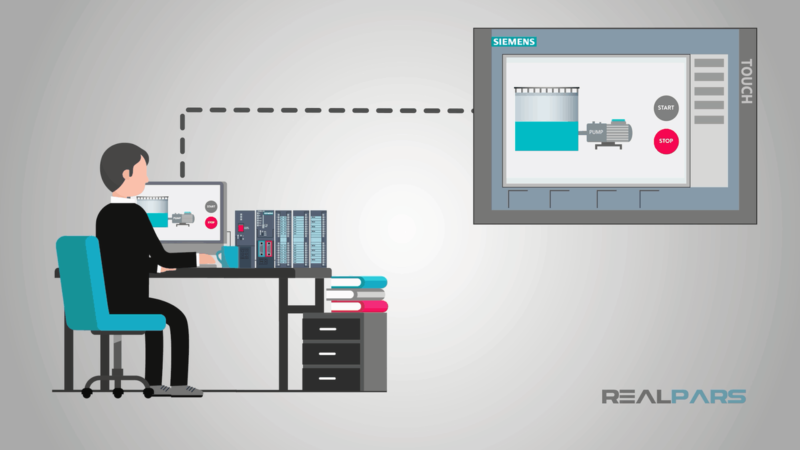 A small manufacturing facility could even monitor the entire plant on one centrally located HMI. 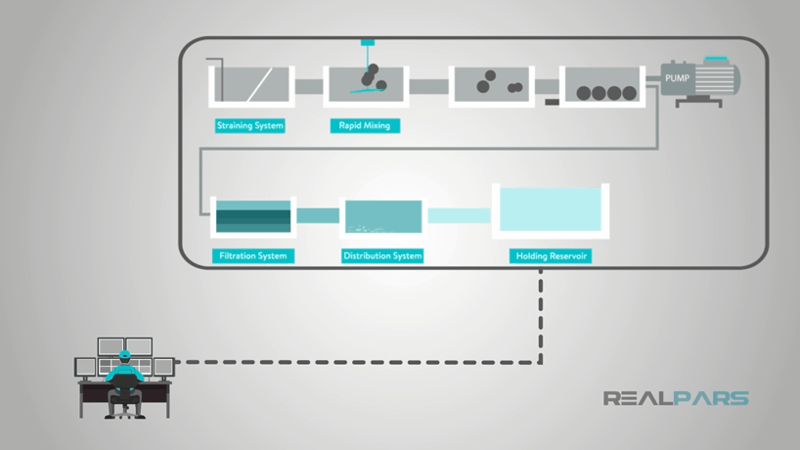 Water and wastewater facilities have utilized this for years by coupling an HMI with a PLC. They are able to monitor remote locations, like water pumps, as well as equipment inside the plant. 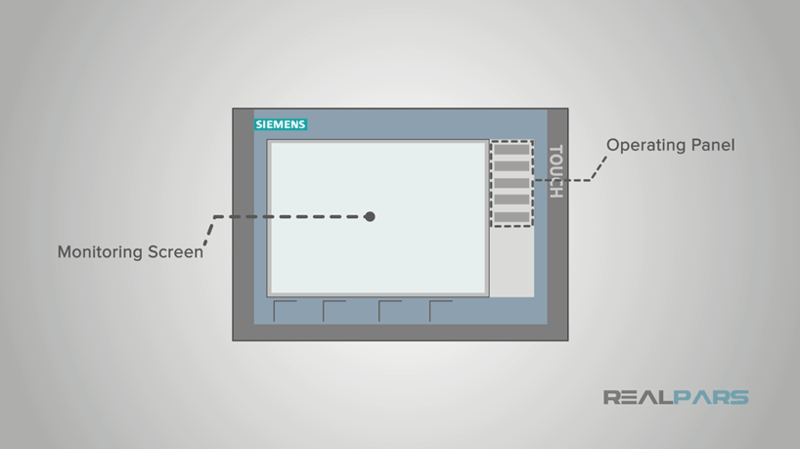 You probably get the idea now that an HMI is the operating panel and monitoring screen. But how does the HMI actually connect to the machine to be able to control and monitor it? Let’s take a look. 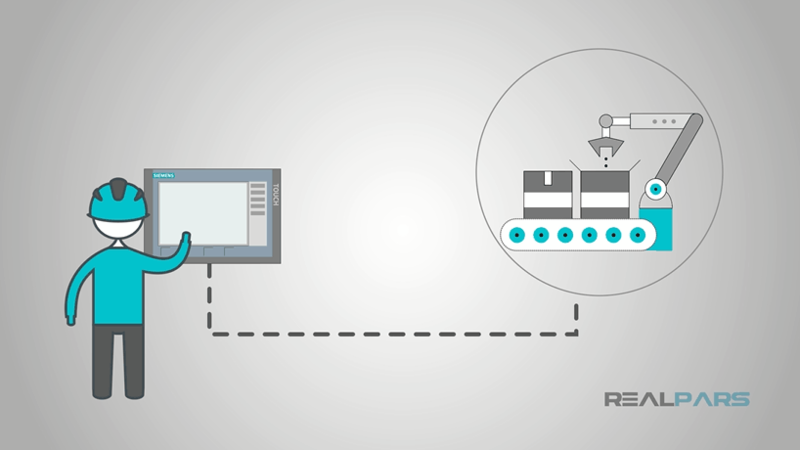 First, HMIs use special software so engineers can program them correctly. Different brands of panels use different software accordingly. 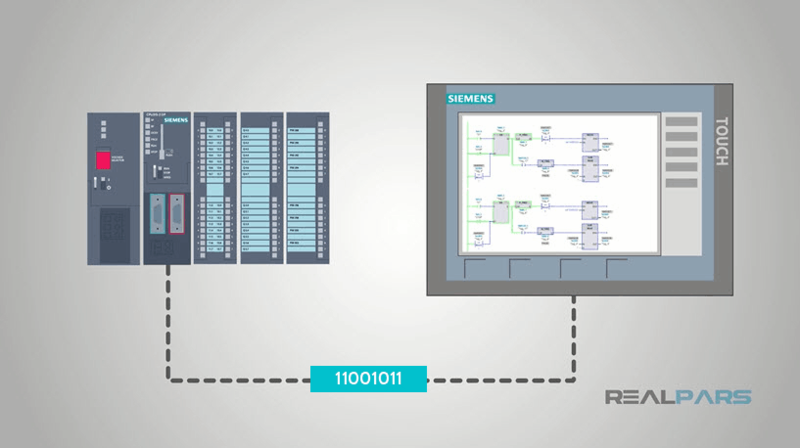 The software allows the engineer to design what the operator will actually see on the screen, what they can monitor on the screen, what “buttons” can be pushed, and how the operator can manipulate the machine. For example, an HMI may have a large tank displayed on the screen with the level of a liquid displayed. Next to the tank is a pump to lower the liquid level. An HMI can also have the start and stop button displayed and usable on the screen next to the pump. This display would be able to actually turn the pump on and off. But, it is not as easy as just placing a button on the screen or a tank with a level on the screen. The person programming the HMI has to program each indicator and button to a specific input or output address of a PLC. 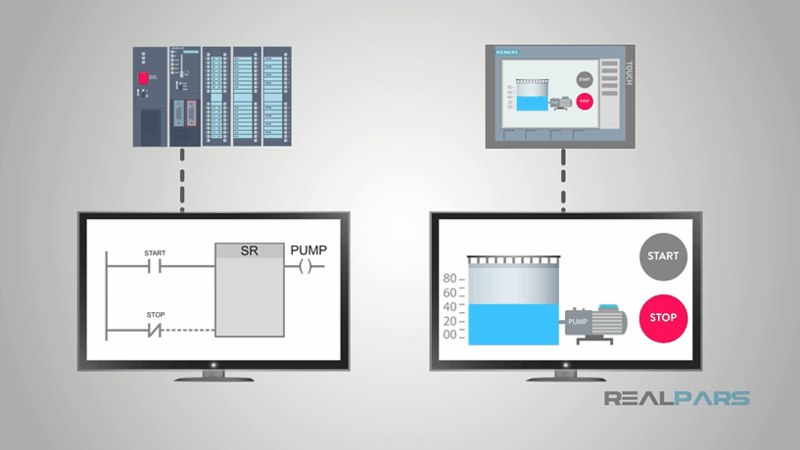 This brings up another point, the HMI and PLC need to be compatible. This means they need to be able to “talk” to each other. They do this on what is called a Protocol. Different companies use different protocols. 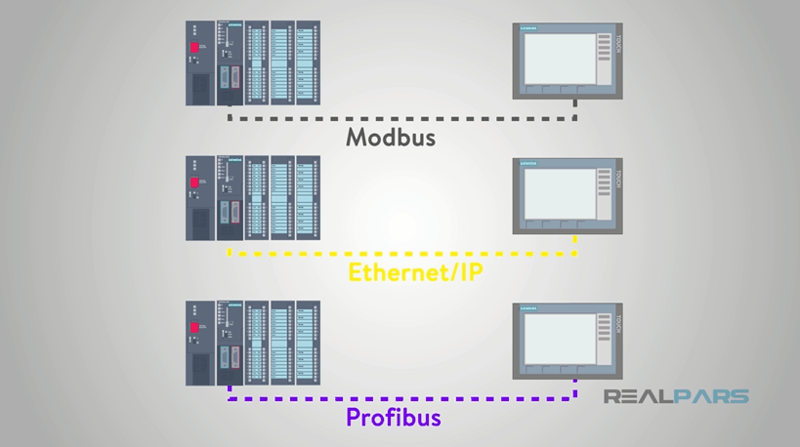 Common protocols are Modbus, Ethernet/IP, and Profibus. These are all just industrial networks, kind of like the network you may have in your home with multiple computers, tv’s or other devices connected to each other. Protocol information is easily found on each manufacturer’s website. 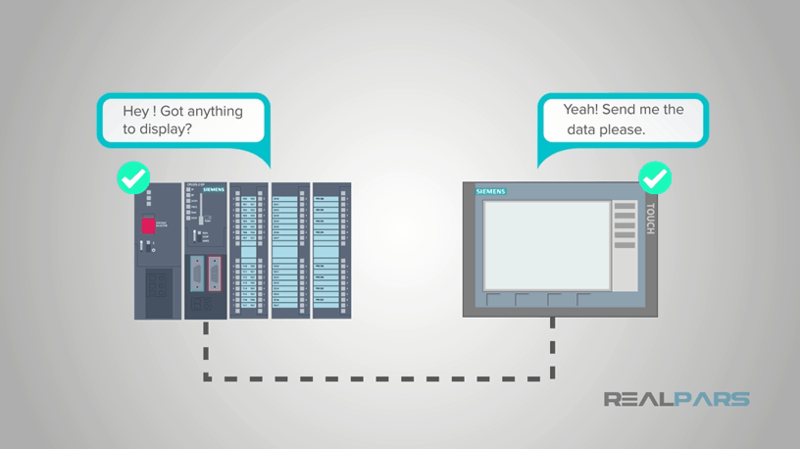 Once the PLC and the HMI are “talking” then whatever is programmed into the HMI can be used to monitor and control PLC functions. 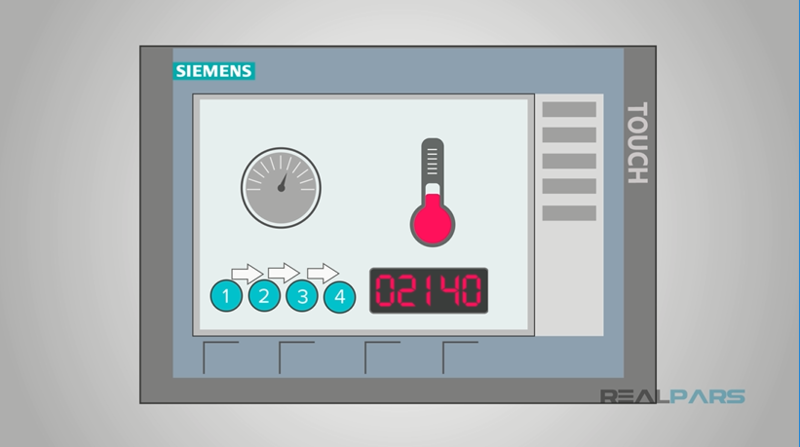 Let’s review, today you have learned some of the basics of an HMI or Human Machine Interface. These are the monitors and controls of a machine that allows the operator to run a machine or monitor a machine. 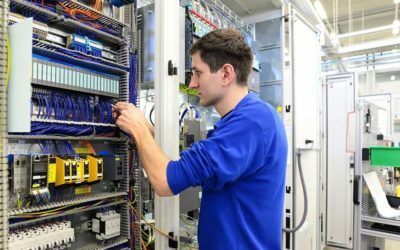 Engineers can program an HMI to perform almost any function that can be controlled or information that can be monitored by a PLC. HMIs and PLCs work together to monitor and control the machine. This means they have to be compatible and they also have to speak the same language so to speak. This comes in the form of a Protocol which is just an industrial network.